Get Free Work Travel Australia Advice! 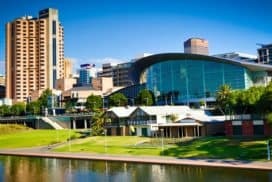 The Working Holiday Australia Program is one of the most popular experiences with Go to Australia. Working Holiday Visa Holders can stay a year in Australia with an opportunity to study for 4 months, work full time and travel! And don't forget the WHV is often the best step before migrate to Australia and has many opportunities to get your Australian Qualifications approved. Go to Australia offers free consultancy to working holiday makers in Australia. Go to Australia is a registered education agency and can give you personalised free support regardless of which working holiday study program you are interested in. Prepare your journey to Down Under with us. Chat with our team over skype for free. Apply for our free services and be a member of our community. Connect yourself with our Facebook page to be up to date with job offers for backpackers. Learn about how to apply for your Australian work and travel visa. Book a cheap flight with us. Get discounts on English courses and other short term studies. Get qualified and learn a Australian profession to be able to stay longer in Australia. Get help with your second working holiday visa. We can offer suitable jobs for you. Receive information on travel, living, study abroad, volunteer vacations, and internship work opportunities overseas. A wealth of articles, resources, and links for budget alternatives to mass tourism. Here are some of the many benefits of being a member of the 12 month WTC Australia Program. Pre Departure Information – what to expect from your Working Holiday. Aussie phone number and bank details provided prior to arrival. Access to online job registration system prior to arrival. Longer term accommodation - We can also help members to find an apartment, a hostel or a shared house and give tips on what to pay and where to stay. Australian orientation / Information session. Medicare set up, where applicable. 12 months of job offers and exclusive access to our job database. Job placement by our in house recruitment agency - paid on time into Aussie bank account. Email job updates and ongoing resume review plus loan of safety equipment / clothing for work. Bank account set up with ATM card issued upon arrival. Registration for Australian Tax File Number. Private mailbox with mail holding and forwarding anywhere in Australia. Free internet in our Sydney centre as well as 15 convenient locations around the country. Toll free emergency assistance, Australia wide 24/7. Tax Expert to providing advice and information about tax and superannuation refunds. Best price guarantee from our in-house Travel Shop plus member’s only discounts, offers and regular Travel Talks. FREE city tour, beach walk, pub crawl and drink vouchers and free internet whilst staying at the hostel. FREE Harvest guide book and 2nd work visa information sheet. Use of phone in the office for job and general enquiries and FREE fax, photocopying and scanning. WTC Ice breaker Welcome drinks – 2 FREE DRINKS and SNACKS - held every week and members can attend as many times as you want. Welcome kit including WTC merchandise. Bilingual, well-travelled staff available to assist you. Working holiday makers must hold a passport of a country which has a reciprocal arrangement with Australia. The Working Holiday Program provides opportunities for people between 18 and 30 from some countries (The United Kingdom, Canada, the Netherlands, Japan, the Republic of Ireland, the Republic of Korea, Malta, Germany, Denmark, Sweden, Norway, the Hong Kong Special Administrative Region of the People's Republic of China, Finland, the Republic of Cyprus, Italy, Belgian and France.) to holiday in Australia and to supplement their travel funds through incidental employment. The working holiday visa allows you to stay 1 or 2 years from the date of first entry to Australia, regardless of whether or not you spend the whole time in Australia. You are allowed to do all kind of temporary or casual work. Work for more than six months with any one employer is not permitted. Apply for the Working Holiday Visa! The working holiday visa provides a young person with a 12 months stay in Australia and enables them to have incidental employment to supplement their stay. United Kingdom, Canada, the Netherlands, Japan, Republic of Ireland, Republic of Korea, Malta, Germany, Denmark, Sweden, Norway, the Hong Kong Special Administrative Region (HKSAR) of the People's Republic of China, Finland, the Republic of Cyprus, France, and Italy, Belgium, Estonia or Taiwan. Due to the high volume of Australian working holiday visas, processing is currently taking longer than 48 hours. 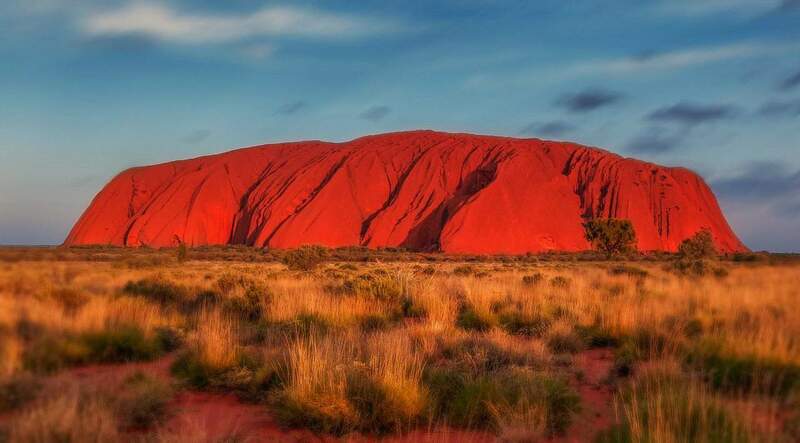 Varied landscapes, beautiful beaches, and pristine Outback region have often attracted travelers to visit Australia. Many traveling on a long holiday, prefer working as well so that they can fend for their living while holidaying in the country. The country is not only an attractive destination for travelers but also a sought-after spot to work part-time or for a short while. Many backpackers therefore plan out a long holiday in the country where they work part-time and enjoy their holiday during their off-duty hours. Australia offers work permit to travelers through Working Holiday Visa (Subclass 417) and Work and Holiday Visa (462 Visa). Australian Tax File Number (TFN) – You can apply for the same while staying in Australia. Australian bank account – Here too, you can apply after you’ve landed in the country. …And, you must apply within a year of your travel. Remember, you can work for 12 months. 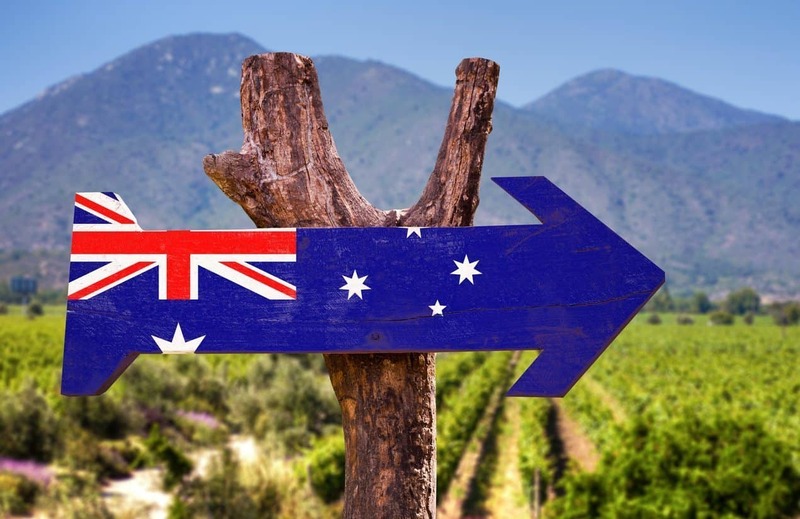 You can also seek an extension of your visa if you can provide documents that say that you’ve worked 88 days at least on an agricultural work or specific work in a regional area in Australia. The visa does not allow visitors to work with the same employer for more than 6 months. 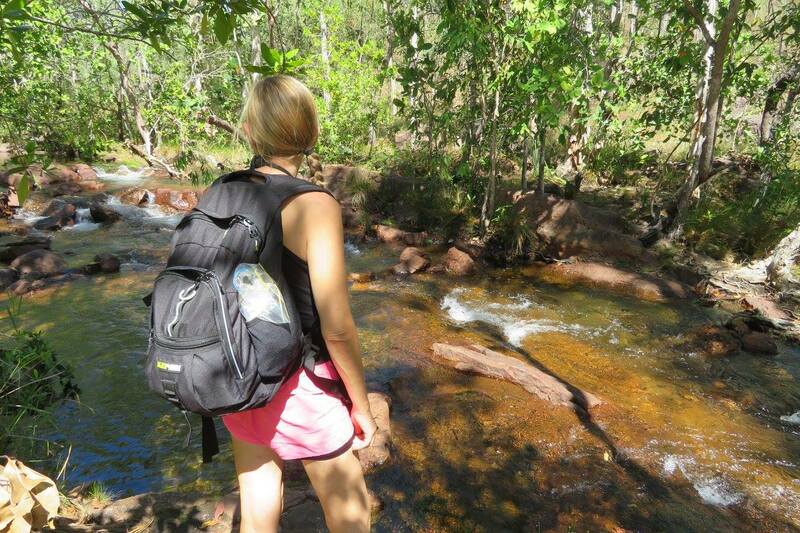 Some backpackers consider wwoofing at an organic farm or check out a ranch at the Outback region. With valid visas, they can enjoy working during their holidays as well. To know more about work permit that travelers can are eligible to get, check with us. ... And tell us all your ideas and questions via email. OR you just like to write about Australia without visiting the country? Send us your wishlist & questions and receive some freebies! Please note, all the above is for free! Double check if you are well prepared! Your Australia Adventure can start. Contact us via email when ever you need someone to talk with! Go To Australia helps international students, Working Holiday Makers and Travellers who are interested to study or work in Australia/New Zealand. Age 18 - 30? Can you obtain a working holiday visa for up to 12 months and work and travel in Australia? Age 31+? We can still help with a study or tourist visa, insurance and free translations. How about joining English Classes, Study Abroad Programmes or Internship work for a while? 'Is it easy to get a job'? or 'How can I get a job'? in Australia? Choosing a study destination abroad that offers work opportunities has become a main deciding factor for many students. Students are looking for work to support their studies or to gain valuable international work experience, which will assist them get a job when they return home. 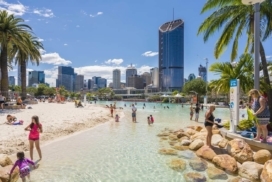 Brisbane and South East Queensland have one of the highest concentrations of tourism and hospitality in Australia, which provides students with a range of work opportunities. However, most students have little or no skills or work experience and lack confidence in their English skills to approach prospective employers. These days, employers usually request written proof of training or industry experience and are looking for confident English speakers who are motivated, enthusiastic, confident and responsible. HIC and HTA (Hospitality Training Association of Australia) have developed a range of programs to provide a training ground for students to develop their English language and hospitality skills. Students who sucessfully complete this program are often provided with employment contacts and interviews in the local area, although it is the student's responsibility to attend the interview and impress the employer with their new skills and enthusiasm. Although there are no guarantees in securing work with or without these programs, students who have sucessfully competed this program have enjoyed a higher sucess rate in securing work. Hospitality Program – designed to introduce and develop skills and knowledge of the hospitality industry for students who want to enter the work place.Students gain practical on-the-job training in a working café and fine dining restaurant environment under the supervision of industry professionals. The course prepares students for jobs in fast paced bars, restaurants, hotels, night clubs, taverns, pubs, eateries, café’s or coffee shop environments. The responsible preparation and service of beverages, receiving and storing supplies, handling cash, liquor laws, responsible service of alcohol, cleaning and maintaining premises and other important areas of bar, restaurant and coffee shop service. On successful completion of the course students are awarded a Statement of Participation and a Statement of Attainment, which provides the student with 6 credit points towards further study in the Certificate II in Hospitality (Operations). Please check out our Australia-Forum. English and Adventure Study Packages are available all year round and a great choice for your students travelling to Australia in the Summer Season. 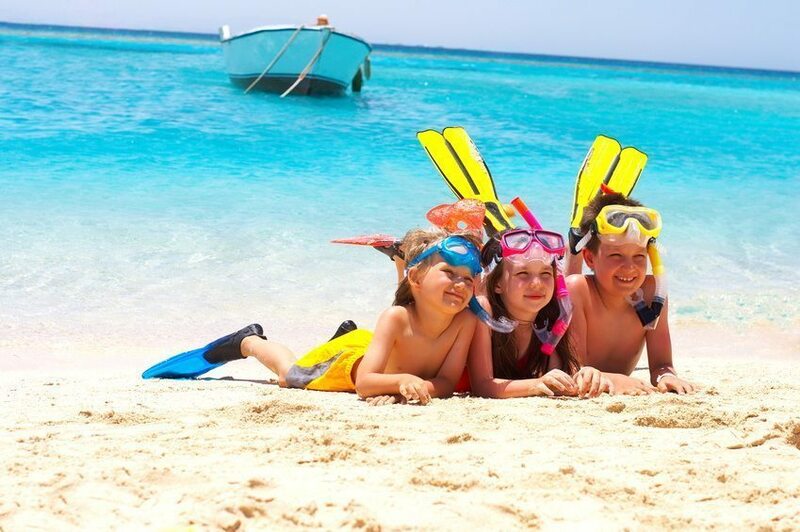 English & Island Adventure - All inclusive packages from 1 week. 'Meet the Dolphins' on the second largest sand island in the world, Moreton Island. 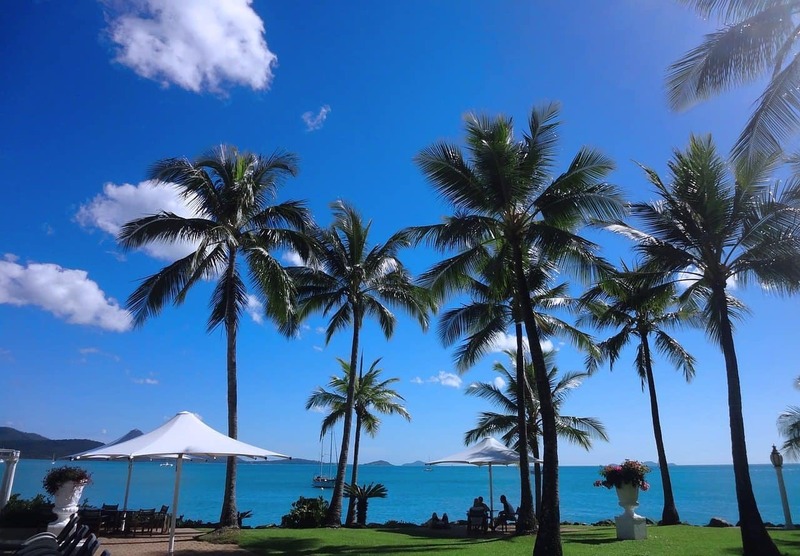 Stay overnight and enjoy the fantastic facilities at the gorgeous Tangalooma Wild Dolphin Resort. Relax by one of the many pools, take a dip in the tranquil blue waters, enjoy resort diving or a 4WD safari to one of Moretons beautiful fresh water lakes. Whale watching is also avilable in late June to early September. English & Learn to Surf - All inclusive packages from 2 weeks. South East Queensland has a tepid annual water temperature of 22 degrees celcius. Surfing is a fun and exciting sport open to people of all ages. Beginners to seaoned surfers can learn with some of the most professional surf instructors in the region. All courses are certified and include transfers and overnight accommodation on the Gold Coast. English & Scuba Diving - All inclusive packages from 2 weeks. Enjoy learning to scuba dive with PADI 5 star professionals on some of the most amazing dive sites in the world. This course can be taken from just 2 weeks and involves a range of pool, snorkeling and ocean diving lessons. Wollongong University College is pleased to announce its’ Internship Program. The WUC Internship Program is designed to provide students with professional skills and gain hands-on experience in their chosen career field. This is an opportunity for students to practice their English skills and to experience working in an Australian business. The program consists of two parts: English studies followed by a volunteer internship. The WUC Internship experience is designed specifically for advanced level students who want to improve their employment prospects when they return to their home country and practice their new English skills in a business environment. 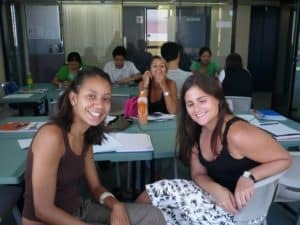 Upon completion of the English course students may be placed in an internship where they can practice and improve their English skills while learning about the Australian culture. We offer a variety of internships and will try to place students in their first choice of field or career. During the internship, students will observe daily functions in an Australian company, practice English and learn industry-related vocabulary. Students will be monitored closely throughout their internship by an internship counselor, and complete an evaluation at the end of the program. All work done during the internship is on a voluntary basis and the student will receive no payment / remuneration. Australian Internships is a specialist organisation dedicated to providing students and academic advisers with the most suitable internship options in Australia. A professional internship in Australia is a positive step in developing the skills and knowledge required for success in today's global market. Many of our past interns have found that the practical experience gained was a great advantage to their career development and lead to improved employment opportunities in their own country. Interns often complete the practical requirement of their studies and gain credit for the internship in Australia. We ensure that all of the necessary academic documentation is completed for students wishing to gain academic credit for the internship. With Australian Internships, you have an easy gateway to an exciting experience with one of the many organisations offering a professional industry training opportunity. Our friendly team is very experienced in helping people from all over the world. We are required to fill some positions in the area of Griffith, what we would like is to assist the growers in supplying labour for the area, due to shortage of local supply of labourers. we are hoping that some overseas tourist may want to fill the positions in the area we have to offer. the hostel is a working hostel, we do not make promises but we have a high success rate and we try to make our customers are helped in every way possible, from changing a tyres to getting a registration organised or their next job in their job in the next town city ( were ever possible ) check out. We advise our students on suitable jobs and accommodations unlimitedly over the duration of the course. How advanced is my English? 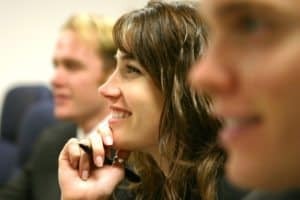 Can I communicate to employers in English? Do I plan to study in Australia to receive an international rewarded qualification? In which month do I start my journey? For how long do I plan to stay in Australia? 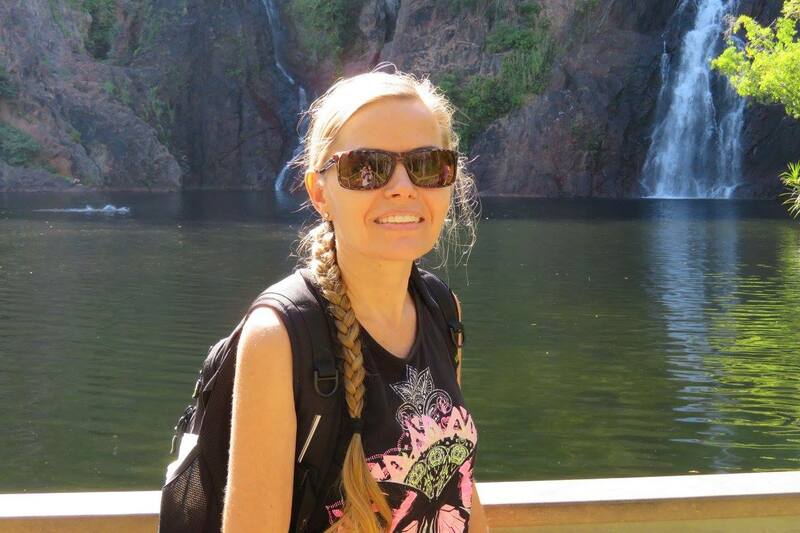 Do I hold a tourist visa or working holiday visa? Would I prefer to work many hours or less time? Which areas of Australia I am most interested in? The Australian government is also in negotiation with many other countries; so more agreements will certainly come into effect in the very near future. Next will most likely be Belgium and hopefully Austria. Both countries have reached tentative agreements with Australia so it's just a matter of both parliaments ratifying the agreement. 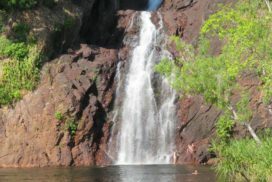 Receive a range of quality information and services such as airline services, accommodation (hotels, bed and breakfasts, luxury apartments, resorts, backpackers), car, camper and motor home rentals, adventure and outback tours, entertainment, travel insurance, Australian visa's, tax file number, and travel maps. We also help travellers and students with special last minute deals, cheap airline tickets, budget backpacker travel and discount travel in all states of Australia. If we can be of any assistance to your Australian travel & work plans, please contact us. Enjoy your visit to Australia! Working Holiday Makers must hold a passport of a country that has a reciprocal arrangement with Australia. 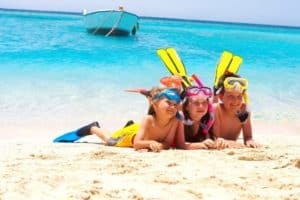 The Working Holiday Maker Program provides opportunities for childless people between 18 and 30 from some countries to holiday in Australia and to supplement their travel funds through incidental employment. These countries are: The United Kingdom, Canada, the Netherlands, Japan, the Republic of Ireland, the Republic of Korea, Malta, Germany, Denmark, Sweden, Norway, Hong Kong, Finland, Belgium, Estonia, the Republic of Cyprus, Italy and France. The working holiday visa allows you to stay 1 year from the date of first entry to Australia, regardless of whether or not you spend the whole time in Australia. You are allowed to do all kinds of temporary or casual work but cannot work the whole 12 months. Work for more than three months with any one employer is not permitted. In special circumstances, this may be extended. The Working Holiday Visa is issued only once in a lifetime. You must be healthy and should not have a criminal record. You will also need to prove you have a return airfare or sufficient funds for one. Following the 2009 economic downturn, many Working Holiday Visa holders suffered economically and had to leave the country. Now, young people in particular can be helped through our program to prevent this happening again. If you have a prior CONFIRMED job in Australia, with our 'Get it all' program you will also be assisted with two other programs involving job placement. Up to 6 months per employer and the time to get a guaranteed job ranges from 3 to 12 months. Most jobs are in the hospitality field. Be mindful you are not career hunting but job searching. The jobs range from the following: fashion and retail, information technology, office work, trades, child care, hospitality, special events, sales, customer service and marketing. 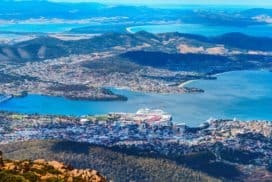 The east coast has most of the jobs: Sydney, Great Barrier Reef, Gold Coast, Sunshine Coast, Melbourne, Central Coast, Brisbane, Canberra, Hobart and Perth. Applicants should keep flexibility in mind to go where the jobs are. $13 to $20 per hour is the range for wages. All applicants are required to have reasonable levels of English speaking; equivalent of TOEFL 550 or IELTS 6 for communication in the workplace. We can help you find a suitable English course if needed. Please apply 2 to 3 months before arrival. If you are already here in Australia the time frame still stands. For details on these packaged options please see the attached file. car Excess payable on Motor Vehicle Insurance. A completed application form with deposit. Current resume in English by email. Copy of your passport-only page with personal details. Details/ copies of your universities certificates, degrees, transcripts of completed or current studies including academic results -translations in English. Work reference or letters in English including all contact details- name and phone. Proof of English language ability- proficiency. The program is specifically tailored so that students on a Working Holiday Visa can receive their Certificate III within 17 weeks of study. 9 weeks is English Studies at Gold Coast Language Schools, then 8 weeks of Tourism & Hospitality Training at Career Training Institute of Australia. (which can be tested by an offshore placement test). Students will be offered 3 guaranteed Job INTERVIEWS on successful completion of the course with reputable high quality hotels/resorts and hospitality providers on the Gold Coast. We advise on suitable internships, work experience and jobs for students and Working Holiday Makers. Would I prefer to work as a travel diary writer? Australia now has reciprocal agreements with many countries. The Working Holiday Visa is a reciprocal agreement between Australia and those countries to promote the cultural exchange for young people. For full details on the Working Holiday Maker agreements, please go to the Department of Immigration and Border Protection Website. We have listed some questions and answers customers may have about our Work & travel packages. HOW DOES THE JOB OFFERS WORK? We provide customers job offers whilst they are in Australia. This job offer could be for a short term temporary contract, long term (6months), harvesting/farm work or even on a day to day basis, casual work. We actually provide job offers throughout their whole stay in Australia. The job offers depend on the skill level and experience of the customer and this will determine what jobs we can recommend for them. If customers have had no work experience then they do duties which require very basic skills and English. For example, fruit picking work, farm work, general cleaning work, general duties in shops, factories, warehouses etc. 12 months membership to our Woodduck Job Club. We have a job placement officer who works in the office and arranges job offers upon request for our customers. We have a list of employers from around Australia and we advise customers to call us when they need assistance finding work and we provide job offers for their current location. For example, most will want to relax and enjoy their first weeks in Australia and not want to start looking for work when they arrive. They then call us when they are ready to start and we activate their Travellers at Work membership and use our contacts to find job placements. 3 months membership at an On-line job agency. Customers can activate that anytime, for example, if they would like to travel for a month or 2 before they look for work, they can contact us to activate this membership after their travels so that they can fully benefit their membership. Once the customer fills out all of their relevant information on-line they will start to receive job offers in their particular area of Australia. Each of our hostels has a job club where, our Work & Travel customers get free membership. They get priority for the first jobs that come in. We have strong relationships with fruit picking farms and outback country work and can offer these jobs upon request in various places around Australia. WHAT TYPE OF JOBS WILL I GET OFFERED? Hospitality e.g. Bar work, waitress / waiter, housekeeping and cleaning etc. Plus telemarketing, au pair work, hostel cleaning, water sports, hostel reception and many more. We also deal with specific companies who handle more professional types of positions in the finance, computer, nursing fields. Most backpacker jobs pay between $15 and $20 per hour. After tax full-time wages range from $400 to $700 per week. Can I get tax and/or superannuation back when departing the country? Eligible temporary residents are now available to access their superannuation savings upon departure from Australia. We provide in our starter pack information about getting tax back and we have contact of companies who can help the guest claiming their taxes back if they are eligible. How long can I work with an employer? If you have a working holiday visa you can work up to 6 months with the same employer. What is a SECOND working holiday visa? If you have worked as a seasonal worker in an eligible regional Australian area for a minimum of 3 months you can apply for a second working holiday visa. All participants in group packages, spend their nights at Woodduck Harbour City Hostel, 50 Sir John Young Crescent, Woolloomolloo, Sydney or Woodduck Inn Hostel, 49 William Street, Darlinghurst, Sydney. ( Hostel accommodation depends on size of group and availability, they are located within 500 m of each other and are both used throughout the program for social activities ) Individual package participants stay at one of the 2 hostels. Who will pick me up and how will I find them? Customers will be picked up at each airport by our staff member. They should look for a sign with our logo and their name on it. Just send us an email with the offer you want to take and we will get back to you as soon as possible. To receive hints on your working holidays in Australia, send us your questions. Can you obtain a working holiday visa for up to 12 months and work and travel in Australia? We can still help with a study or tourist visa, insurance and free translations. How about joining English Classes, Study Abroad Programmes or Internship work for a while? 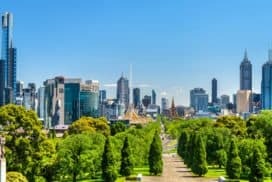 How can I get a job in Australia? Choosing a work or study destination abroad that offers work opportunities has become a main deciding factor for many students. Students are looking for work to support their studies or to gain valuable international work expereince, which will assist them get a job when they return home. 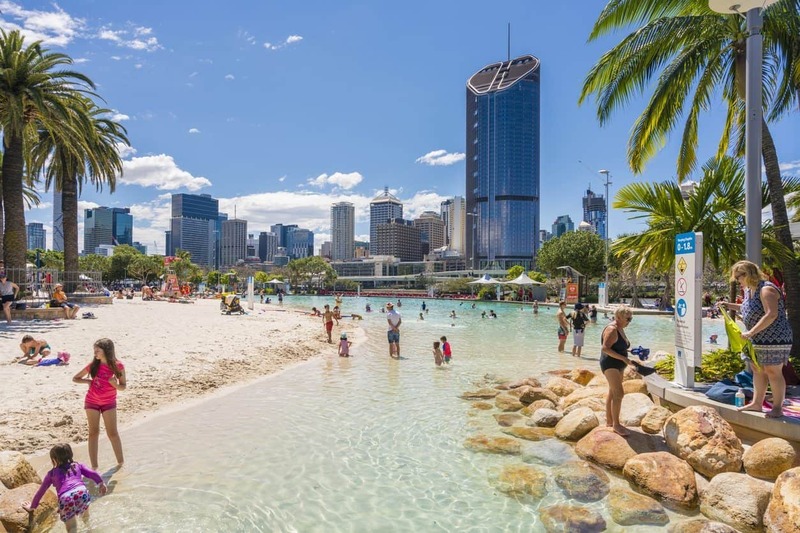 Brisbane and South East Queensland have one of the highest concentrations of tourism and hospitality in Australia, which provides students with a range of work opportunities. However, most students have little or no skills or work experience and lack confidence in their English skills to approach prospective employers. These days, employers usually request written proof of training or industry experience and are looking for confident English speakers who are motivated, enthusiastic, confident and responsible. The 1500 places available under the Korea Working Holiday Scheme for the year to 31 March have been filled. A further 1500 places will become available under the Korea Working Holiday Scheme on 1 April. I’m very happy with the service that I’ve been offered by work and travel WOODDUCK. I was a bit concerned about traveling on my own and sorting out all the paperwork, but my starters package was explained thoroughly and the staff member was always here to help you to fill in papers, giving you advice, travel tips etc. The hostel where everything got organized is great too. I will for sure recommend the product and the hostel to everyone who’s planning to go to downunder . It was nice to hear from you! I‘ve thought about writing you so many times to thank you again for all the help you gave us and especially me (with my Visa situation) when Amanda and I arrived in Sydney!!!! You‘re an angel!! I“ve had some bad luck during the trip but it doesn‘t matter because we have experienced SO many fantastic things here and we love Australia. We both liked the package but we didn‘t know much about the company when we booked it. Maybe you should do some marketing, work on the website? We will arrive in Sydney in a couple of weeks and we will stay in Woodduck. We‘ll see you then!!!! Brisbane again, when we both have finished working . I’m very glad that I arrived here in Sydney and booked a starterspack. We got all the information that we needed to start our adventure/work /travel holiday here in Australia. It was great knowing that we always could go somewhere with our questions. Australia has many national and state holidays based on the structure of the school term and special days set aside for memorial or celebratory purposes. It is important to be aware of these dates as they may affect the price and availability of accommodation, transport and the general running of shops and other businesses. 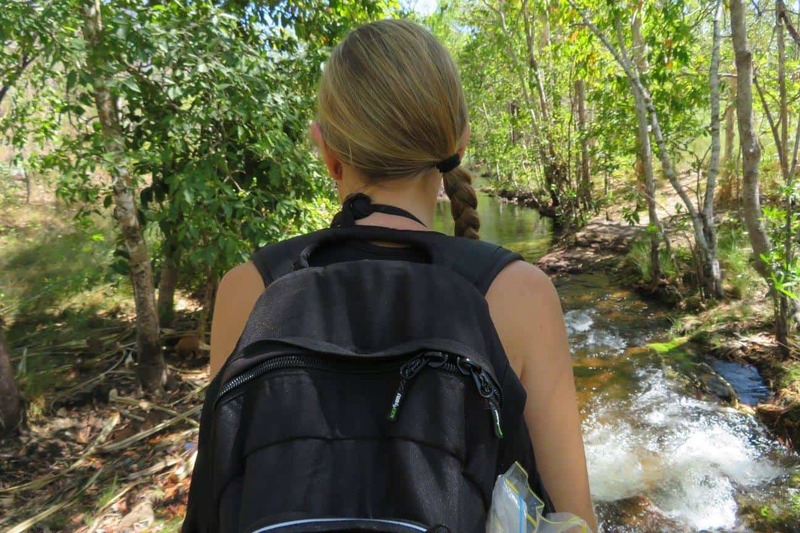 Bear in mind that most Australian families go travelling during the peak tourist period of the school holidays, so often the best time for backpacking and travelling is during the school terms. The Australian school year runs from January to December, broken into four terms averaging about ten weeks, divided by holidays. The summer holidays are the longest of the year, and include Christmas and New Years. Be sure to check state-government websites for the most up-to-date term dates. Although travel may be difficult or more expensive during these dates, they are often occasions for fun events, a chance to get to know locals and partake in some very traditional Australian rituals. Our program has more inclusions and is better value for money than any of our competitors. We are a family owned company who operate the Hostels also, enabling us to offer lower rates to our customers. This product cannot be individually packaged with all of the inclusions and service provided for a cheaper price! Customers arrive knowing everything is sorted and taken care of for them. No worries from arrival to departure, whether at the end of week 1 or after 12 months. The customer knows that at the end of their package they will have everything organised to enable them to enjoy their adventure as we handle everything and they have the fun! Owners of the company are from Australia and work in the day to day running of the business. They have backpacked around Australia and the world and know what travellers need. The owners are on the ground to answer questions and make sure the customers are happy. We are the only company that offers personal local guides for the duration of the package. This gives the customer the chance to gain extra knowledge and ask all those extra questions over the package period and get the most out their introduction. They will leave us with all their questions answered and be loaded with the best advice to save time and money, which leads to more FUN!! Experienced staff who have travelled Australia and the world giving honest advice. Emphasis on personal service, not just handing out to customers their packages but being able to talk face to face anytime about their travels, information, enquiries. For example, everyone offers orientation seminars but no one wants to put their hands up and ask questions in a room full of people they don’t know. They get the chance to ask questions at the Aussie BBQ, on the their guided walk through the city on the way to the bank, medicare and travellers contact point, on the harbour cruise, at the local pub dinner, on the day trips to the blue mountains and surfing and the many social activities. On-going support throughout your whole visit to Australia. We encourage and have our customers calling us after 3 months travelling, asking for assistance with finding a job in all different areas of Australia. We have contacts all over the country regarding work, trips, hostels. We have established a network where our customers will get assistance all around Australia and have resources for work everywhere. Friendly, laid-back atmosphere where you will meet fellow travellers at feel comfortable to ask questions. Heaps of social, authentic activities: rooftop BBQ’s, surfing, aboriginal show with didgeridoo lessons etc. Staff who have travelled and are fully dedicated to look after each guest and understands and fulfils the needs for each individual. We don’t smother the customers with times and schedules etc. all activities are optional and there is plenty of free time. Another major benefit of these packages is that after a long flight you don’t have to worry about accommodation and transportation to the city and you and your family have the security before you leave that you will be taken care of by a proven organization with over 10 years experience who handles approx 2000 guests per year. It is very convenient that you have the aid of a professional to help you with questions regarding visa’s, bank accounts, tax numbers, etc, which saves you time and money! You get guided through the Australian bureaucratic system and the way of life. It’s also very reassuring that you will meet our staff who speak your language to help understand all the information at the start. you also get a great introduction to Sydney and Aussie social life by an expert who shows you the best way to get the most out of Sydney/Australia and gives you the confidence to take the next step in your once in a life time adventure!!! By keeping groups to a maximum of 15-20 pax we feel that it is the perfect size for all customers to get to know one another more intimately than when in a bigger group. From previous experience and feedback we know that many of the customers remain friends for the duration of their stay and even travel onwards together. for cancellations received more than four weeks prior to tour departure/arrival - a charge of $200 AUD per person. for cancellations received less than 4 weeks prior to holiday departure/arrival a charge equal to 25% of the tour cost OR $200 AUD whichever is greater, is payable. for cancellations received less than 2 weeks prior to holiday departure/arrival a charge equal to 50% of the tour cost OR $200 AUD whichever is greater, is payable. for cancellations on the day of departure/arrival a charge equal to 100% of the tour cost is payable. 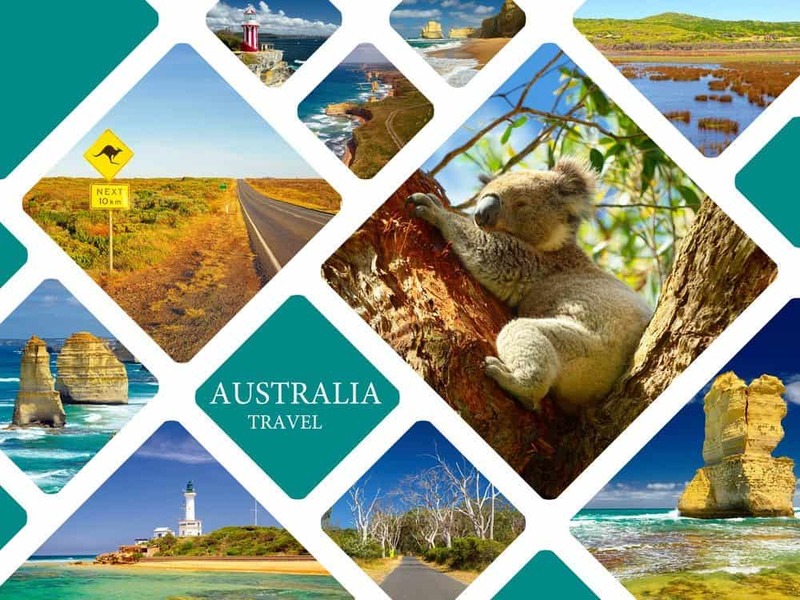 Comprehensive Work and Travel Information Pack providing information accommodation, health cards, job training courses, tax back, superannuation, finding a job, buying a car and travel throughout Australia . Presentation by staff member on the information pack and assistance with getting started with bank, medicare and tax file number set-up. 3 Months membership to On-Line Job Agency – sole focus is to link our members with employment opportunities throughout Australia and to provide a platform for employers to access them for full-time, casual or temporary work. Day Trip to Steve Irwin’s Australia Zoo. With over one thousand native and exotic animals, an army of Wildlife Warriors, an action-packed 24-hour wildlife hospital and one amazingly adventurous Irwin family, there is NEVER a dull moment at Australia Zoo. Day Trip to Great Barrier Reef: Five hours of snorkeling at two outer Great Barrier Reef locations, Free guided snorkeling tours. Day Trip to Territory Wildlife Park: set in 400 hectares of natural bushland and home for the largest collection of Territory Wildlife. Discover some of the Northern Territory’s most elusive animals in the Nocturnal House and observe wildlife at close range, in their natural habitat. Aquarium and Rainforest walk. Rottnest Island Day Tour: Cruise down the Swan River to Fremantle, then head out for Rottnest Island. 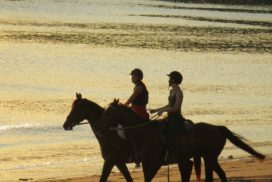 Enjoy the the beautiful beaches, bays and reefs, Quokka’s and stunning scenery. Official Neighbours Tour: Step back and enter the Neighbours world with the Official Neighbours Tour to Ramsay Street and the World Famous Official Neighbours Night where you can meet the stars! 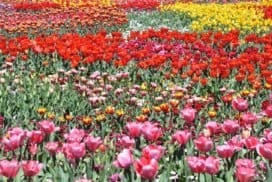 Day Trip Great Ocean Road: ‘Explore, Experience and Embrace’ - A full day trip along the southern coast of Australia. Home of the twelve Apostles and magnificent scenery. The Great Ocean Road is truly one of the world's most scenic journeys, with a stunning coastline that winds its way through south-west Victoria. Visits all the stirring sights of the Shipwreck Coast, including the Twelve Apostles, Loch Ard Gorge and London Bridge. Official Neighbours Tour: Step back and enter the Neighbours world with the Official Neighbours Tour to Ramsay Street and the World Famous Official Neighbours sight where you can meet the stars! Airport Meet and Greet by our local staff. Scenic drive through the city, then the beautiful Botanical Gardens to view Sydney Harbour. Transfer to the Backpacker Hostel and check in. City Orientation and Information day, with plenty of local tips and knowledge to make your trip around OZ that little bit easier. Loads of advice on work and finding work, travel and accommodation, Bank account set up, mobile phone accounts arranged, mail forwarding details, job club registration and tax file number. Membership to On-line Job Agency . Time to relax at our famous Aussie BBQ on the rooftop of the Woodduck Hostel overlooking Sydney’s magnificent skyline and harbour. Enjoy an Aboriginal Culture Show with dancing & didjeridoo playing and then it’s your turn to have a try at playing the didge. Sydney Harbour cruise. ‘Jump on - jump off’ at such Sydney attractions as Darling Harbour, Watson's Bay, Taronga Zoo, Sydney Opera House and The Rocks. Dinner at local Aussie pub on the harbour and then party on at Sydney's best pubs and clubs. Free day with sleep in to relax . Optional free courtesy bus to Sydney's famous Bondi Beach to relax on the beach and play beach football and volleyball . Or just relax on your hostel rooftop, the Botanical Gardens opposite our hostel, or wander through the city centre. Full day tour of The Blue Mountains including, Sydney’s Olympic Park. Visit the famous Three Sisters, Katoomba, Wentworth Falls and the chance to feed kangaroos at twilight. Surf Lessons. Surf lesson to get you started on your new Aussie way of life. Experience the thrill of riding a wave and learning a new skill. Spend a full day’s surfing at Sydney’s best beaches. Followed by a fun Aussie pub crawl through Sydney city area or around the harbour to celebrate finish of package. Your adventure continues on solo or with other group members you've met during your fantastic first days in Australia. Don't think the help & advice stops here, we can offer you heaps of discounts & advice on tours, travel & accommodation, for the next stage of your adventure. Included - A tour guide with loads of local knowledge and helpful tips on travelling and working in Australia. You will have access to the staff’s information for the whole package duration. 6 nights accommodation & breakfast in Sydney. 1 Free night in our Melbourne Hostel. Group Social Activities: e.g pub crawl through Sydney’s best local pub’s, free wine & cheese night. Aussie BBQ & Aboriginal Culture show. Day tours inclusive beautiful Sydney Harbour Cruise, Bondi Beach and The Blue Mountains. A full day’s surfing lessons at one of Sydney’s most famous beaches. Meet & Greet at the airport by our local staff , transfer to city hotel/hostel and City orientation. Comprehensive Work and Travel pack providing information on accommodation, health cards and medical care, bank account set-up, obtaining a tax-file number, buying a car, paying tax and getting tax back, creating a resume/cv, methods to gain a job, job training courses, travel throughout Australia and much more. Job Offers during their visit to Australia. We send out a fortnightly newsletter listing the latest job offers all around Australia. 12 months membership to Woodduck Hostels Job Club . We have a job placement officer who works in the office and arranges job offers upon request for our customers. We have a list of employers from around Australia and we advise customers to call us when they need assistance finding work and we provide job offers for their current location. 3 Months membership to On-line– Job search club, it’s sole focus is to link its members with employment opportunities throughout Australia and to provide a platform for employers to access them for full-time, casual or temporary work. Jobs are e.mailed to members daily from all over Australia. 12 months mail holding and forwarding to anywhere in Australia . Your own permanent address for important documents and family contact etc . Free luggage storage in Sydney and Melbourne. ½ hour FREE Internet in Sydney everyday. * Group arrival dates in SYDNEY! * Package itineraries are subject to change due to weather and group choices. Order of nightly activities may be changed. Scenic drive through the city, then the beautiful Botanical Gardens to view Sydney Harbour. Transfer to the Backpacker Hostel and check in. Wine & Cheese Night. Free day with sleep in to relax. Optional free courtesy bus to Sydney's famous Bondi Beach to relax on the beach and play beach football and volleyball. Or just relax on your hostel rooftop, the Botanical Gardens opposite our hostel, or wander through the city centre. Your adventure continues on solo or with other group members you've met during your fantastic first days in Australia. Don't think the help & advice stops here, we can offer you heaps of discounts & advice on tours, travel & accommodation, for the next stage of your adventure. 4 nights accommodation & breakfast in Sydney. Day tours inclusive beautiful Sydney Harbour Cruise and Bondi Beach. 3 Months membership to On-Line Job Search Club. It’s sole focus is to link its members with employment opportunities throughout Australia and to provide a platform for employers to access them for full-time, casual or temporary work. Jobs are e.mailed to members daily from all over Australia. Day Trip includes Sydney Harbour cruise. 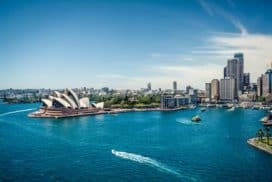 Jump on, jump off at such Sydney attractions as Darling Harbour, Watson's Bay, Taronga Zoo, Sydney Opera House and The Rocks. 12 months mail holding and forwarding to all over Australia. Your own permanent address for important documents and family contact etc.